The new world order of media and advertising demands that brands experiment and search for new ways to drive consumer engagement. As marketing and media strategy becomes ever more important, brands must look for ways to optimize paid, owned and earned media. Paid media is everything that you spend advertising dollars on such as TV, radio, print, digital advertising, and sponsorships. Owned media includes your website and other “owned” assets, and earned media is defined by the social amplification and interaction you “earn” through active participation with your customers. 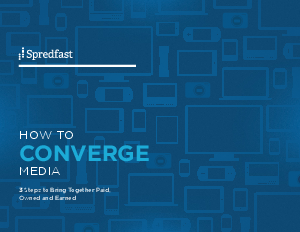 How do you create the perfect “owned media” experience for your customers, and what is the right formula for paid media to maximize your earned media opportunity?